Earthquakes are a reality in California. Earthquakes will happen, but we do not know exactly when. We know that they can cause a lot of damage to your home and belongings. You may even have to move out of your home while it is being repaired or rebuilt. Insurance policies for homeowners, renters and condominiums do not cover the damages caused by natural disasters such as earthquakes, floods and landslides. Earthquake insurance can help pay some of your losses. This brochure will inform you about earthquake insurance. Earthquake insurance covers some of the losses and damages that earthquakes can cause in your home, belongings and other buildings on your property. If you have a mortgage, you must have a home insurance. But you do not have to buy earthquake insurance. Your home insurance does not cover the damage caused by the earthquake (except fire, see page 7). I have property insurance. How can I get insurance against earthquakes? If you have home insurance in California, your company must offer to sell you insurance against earthquakes. You must offer this every two years. The offer must be in writing. You must tell the amounts you cover (the limits), the deductible and the premium. You have 30 days to accept the offer. The 30-day period begins the date the company sends you the offer by mail. If you do not respond, you are rejecting the offer. Does earthquake insurance cover all the damage from earthquakes? No. There are limits on what earthquake insurance pays for. The purpose of earthquake insurance is to help put a roof over your head. It does not replace everything you lost. What happens if I rent? You can buy earthquake insurance to cover damage to your belongings and pay to live elsewhere while repairing your rented house. What happens if I have a condo? You can buy earthquake insurance to cover damage to your belongings. Also pay to live elsewhere while your condo is being repaired. You may also need insurance to help you pay for the evaluation of your condo association to repair your building. Talk to your condo association. What happens if I have a mobile home? You can buy earthquake insurance to cover damage to your home and your belongings. You can also pay to live elsewhere while repairing your mobile home. The California Earthquake Authority (CEA) provides the most earthquake insurance in California. CEA offers earthquake policies for homeowners, mobile home owners, owners of condo units and tenants. You can not buy earthquake insurance directly from CEA that you buy directly from insurance companies that are members of CEA. Must have a residential property insurance policy in order to obtain a CEA eathquake policy. 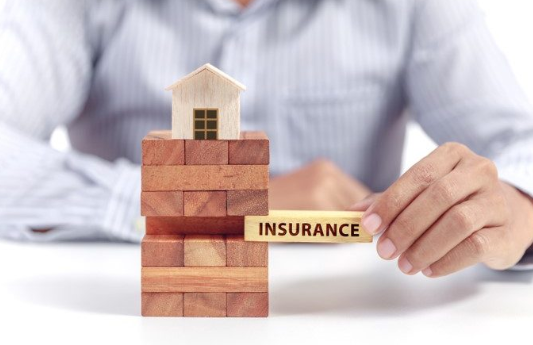 You must buy your CEA policy from the same insurance company with which you have your residential policy; check the list of participating CEA insurers here. Visit the CEA website at www.gethomeownersinsurance.net for more information. Part 1: your housing coverage. This is sometimes called Coverage A and covers your home up to a certain amount, called a limit. The limit of your earthquake insurance is the same as the limit of your home insurance (housing coverage). CEA offers deductibles of 5%, 10%, 15%, 20% and 25%. You do not have to pay your CEA deductible in advance to receive a claim check, it is simply the amount deducted from your total covered losses. As with most earthquake policies, the CEA insurance does not cover landscaping, swimming pools, fences, masonry or separate buildings. The exterior sheet for masonry is not covered unless you add that coverage to your CEA policy. If you rent to another person or own a condo, you do not need this coverage. Part 2: Your personal property coverage. This is sometimes called Coverage C and covers things in your home, such as furniture, televisions, and computers. The limit starts at $ 5,000 and may increase the limit to $ 200,000. Things like porcelain and glass are covered if you buy optional coverage of breakable objects. Part 3: Additional living expenses (ALE) or loss of use. This is sometimes called Coverage D and covers temporary and additional costs to live elsewhere while evacuating your area or repairing your home. It can cover the temporary rent of a house, apartment or hotel room; restaurant meals; a temporary telephone line; movement and storage; furniture rental; and laundry. You are subject to a reasonable time necessary to repair the home or for you to move to another permanent home. The limit ranges from $ 1,500 to $ 100,000. This vacant home insurance coverage never has a deductible under CEA. CEA’s Homeowners Choice policy offers the option of choosing a separate coverage for homes and personal property, with different deductibles. Although you can select deductibles separately for housing and personal property, the Owner Choice policy will not apply both deductibles for the same earthquake claim. This means that CEA waives the deductible on personal property if the damage covered in your home exceeds the deductible for the home. If you own a condo unit, your HOA may have insurance for common areas and the exterior structure of the building; however, it may not cover the damage caused by an earthquake in those common areas and exterior structures. In addition, your partnership may require you and other unit owners to share repair costs or pay part of your policy deductible through an evaluation. CEA’s condominium unit policies provide up to $ 100,000 on their part for certain evaluations if your association imposes an assessment for covered damages caused by an earthquake. You may be able to purchase the construction code update coverage (now up to $ 30,000). CEA homeowners policies include the first $ 1,500 for emergency repairs without a deductible. These are not CEA policies. Some companies offer these policies. They are policies that you can buy without buying home insurance from the same company. Your premium depends on many things, such as the location of your home, the cost of reconstruction, the type of construction, the selected home coverage and the deductible. With earth quick home insurance, older homes may qualify for a discount of up to 20 percent if they have adapted correctly.